A visit to the Temples in Phuket is definitely a must! Visitors to Phuket are always welcome to visit the Buddhist Temples. Phuket’s main religion is Buddhism, Thai Muslims make up approximately 35% of the Islands population so you will find just as many mosques as temples in Phuket. 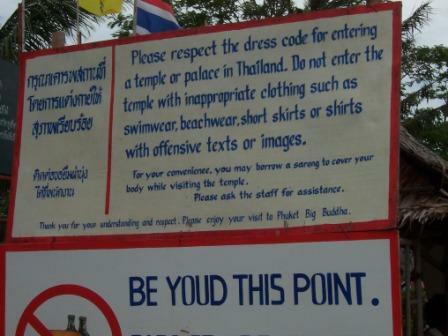 When visiting Wats or Chinese shrines be sure to observe the dress rules. You will be asked to remove your shoes before entering, and to cover your shoulders, legs and stomach. There is no admission fee although you may see donation boxes, the money goes towards maintenance of these historic sites. 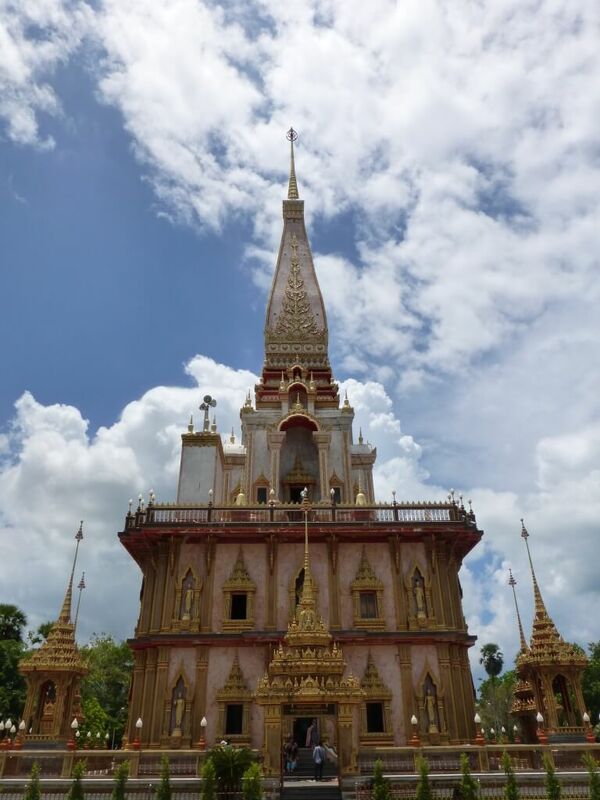 Wat Chalong history makes it one of the most important temples in Phuket. Wat Chalong Temple is located on Chao Fa West Road, approximately eight kilometres south of Phuket Town. Wat Phra Nang Sang is the oldest temple in Phuket, it was built when Thalang was the Capital of Phuket. The grounds in which the temple stands are where the battle with the Burmese invaders took place in 1785. Statues of Thao Thep Kassatri and Thao Sri Sunthon are within the temple grounds; it is believed that these two sisters led the resistance against the Burmese. The walls inside the temple are decorated with paintings of historical events and murals of Lord Buddha’s life. The temple is located in Thalang on Thepkrasattri Road. At the entrance of the temple there are two pairs of large statues holding the gates. Wat Sri Sunthon Temple is named after one of the two sisters who led the resistance of the Burmese that being Thao Sri Sunthon. The grounds of the temple are beautiful; and it is so quiet. On top of the roof you will see a large reclining Buddha image, to have a closer look at the Buddha image go to the back of the building where you will find stairs that lead to the roof. The temple is located on Thepkasathri Road about five kilometres north of the Heroines Monument, it is open from 7.00am to 5.30pm. Wat Phra Thong means Temple of the protruding Buddha. 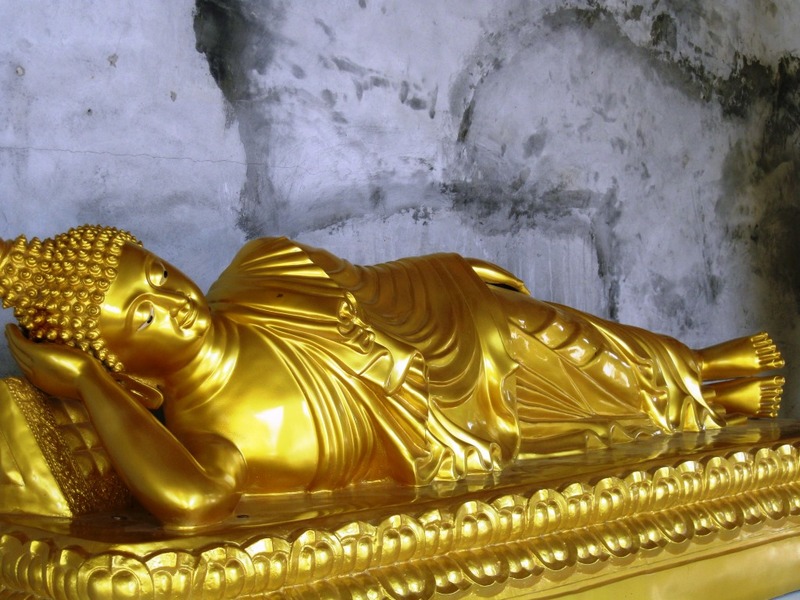 Due to its location not many international visitors come to see this amazingly enormous half buried golden Buddha Statue whose history dates back centuries. Legend has it that the ancient Buddha is protected by a spell, which is believed to cause death to anyone or anything that attempts to remove it from the ground. This temple is also located in Thalang on Thepkrasattri Road, about 20 kilometres from Phuket Town.